The Cathedral of St. Michael and St. Gudula is amazing both inside and out. The architecture of the building, the amazing sculptures inside and the beautiful stained glass windows make this an amazing and wonderful building to visit and appreciate. 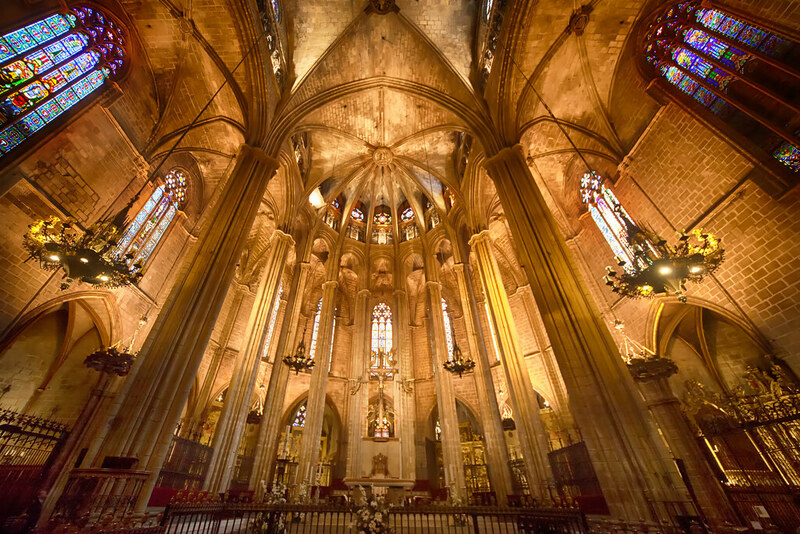 The Gothic architecture, beautiful designs and intricate details make this church an amazing place to visit. . 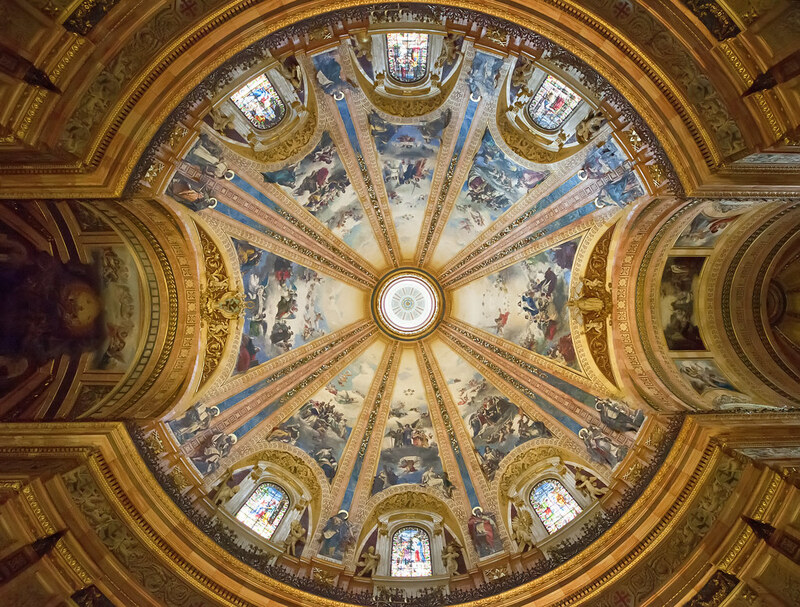 This is the amazing cupola from the Royal Basilica of San Francisco el Grande, a small but magnificent church in Madrid, Spain. The dome is supposed to be one of the largest of the christian churches. This picture does not do justice to the amazing colours and detail of the paintings. Everything in here was beautiful and serene and even though the tour was in Spanish, you get to see the interiors and more amazing paintings! A must do for any visit to Madrid.